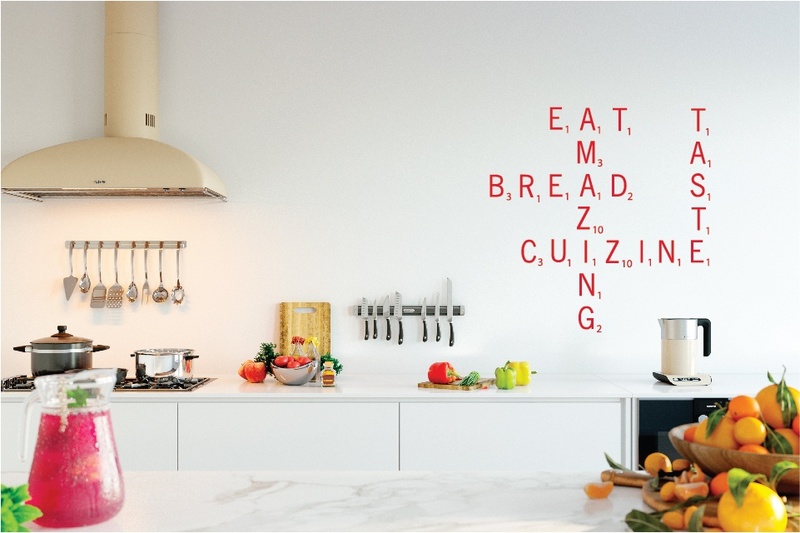 Decorate your wall with your very own scrabble letters. 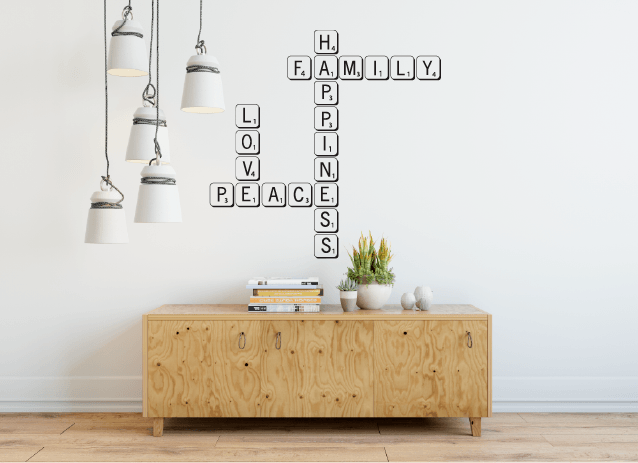 Spell out the values that are important to you and your family or your family names! The photos show two ways of using these decals – with frames or without. If you want to apply the decals to your own squares of wood or other materials then choose the option without frames. The letters fit inside a 10cm frame.